The processes that shape the Earth’s surface and the sedimentary deposits that record those processes link human timescales to geologic history and provide rich opportunities for students to explore fascinating and societally-relevant research questions. The dynamic environments at Earth’s surface reflect connections between biological, physical and chemical systems. Sedimentary rocks provide the Earth’s best archives of its history and insights into past conditions on the Earth’s surface and in it’s oceans. They also host critically important natural resources from petroleum and building materials to groundwater aquifers. Study of sedimentary geology and surface processes improves fundamental understanding of the changing character of the surface environment of the Earth which is critical for understanding the past and future trajectories for life on Earth. 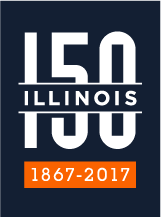 Researchers in the Earth Surface Processes group at Illinois interact with staff in the Department of Geography, the Department of Atmospheric Sciences, and the Illinois State Geological Survey.